How can permanent makeup help you? Sometimes it can be hard to tell if the eyebrows we are seeing so many people get are natural, permanent makeup or micro blading. and feeling confident in how you look all day long? This is exactly why I searched out Permanent Makeup over 25 years ago. I wanted to be able to enhance my appearance with makeup that lasted longer than the normal day to day conventional powders and pencils. Making the decision to have Permanent Makeup was one of the best decisions I have ever made! This allowed me the freedom to go about my busy days; with the confidence that my makeup looked as vibrant, and fresh 10 hours later, as it did when I first put it on that morning! Permanent Makeup has also been referred to as Permanent Cosmetics, Micro pigmentation, Cosmetic Tattooing, and Micro Blading. The term Permanent Makeup simply means that there is a lasting change that is taking place. Although individual skin types vary in how each person holds onto pigment, the overall desire is to have a longer lasting makeup technique applied to an individual; with a desire to create a change that offers more longevity than conventional makeup. Women experience many changes throughout the different stages of their lives. A woman in her 20’s may want to add a little more thickness to her brows, while a women in her 30’s or 40’s would be wanting more of a lift, and to put back their missing tails. Our faces change, and we all want to have the ability to have a longer lasting makeup. Yet, it is comforting to know that as the years go by we can modify with refresher appointments. This also allows us to make the adjustments needed according to what is happening with our skin. Many women looking for permanent makeup are seeking a more youthful appearance by replacing those missing hairs in their brows. 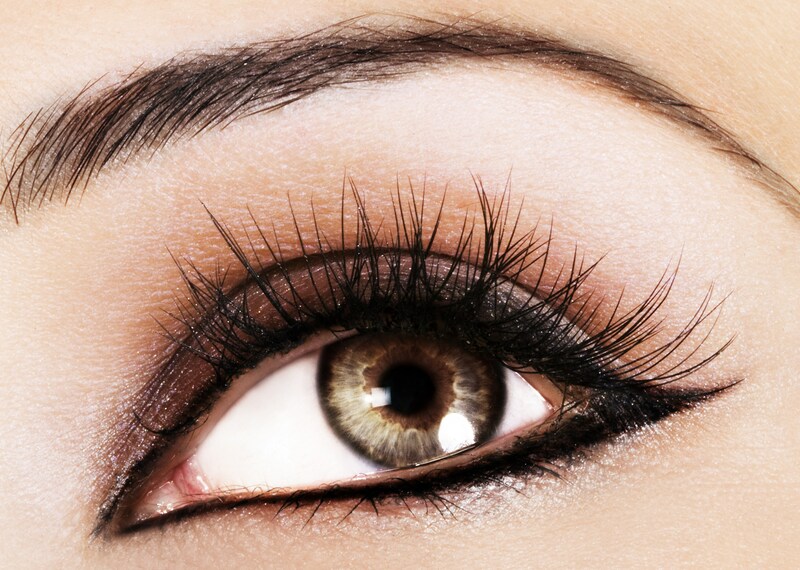 Strategically place eyeliner that makes their lashes look fuller, and their eyes appear brighter. And bringing back that missing lip color. Women love the reality of not having to draw their brows on, and wandering if they are even. Brows that are drawn incorrectly can add years to an individuals face; giving the illusion that the brow bone has drooped. While a brow that is intricately placed will enhance an individuals appearance while erasing years in the process. Since the ancient times women have been applying makeup to accentuate their eyes. They want eyeliner that won’t run, smear, or clump in the corners causing them to continually look in the mirror throughout the day; to make sure they look their best! Permanent eyeliner looks crisp when perfectly placed, and can help add lift to the eyelids; giving a more youthful appearance. Permanent eyeliner can also prevent wrinkles because your not fussing, and pulling at the skin around the eyes. The makeup stays in place, allowing the eyeliner to appear freshly applied without smears. Now you can finally have Color & definition to those pale lips! Women often comment on how their lips are the same color as their face, and they feel like it ages them. Another complaint is when they use lip sticks they bleed and look feathered instead of having a crisp lip line. Lips go through a lot of movement in a day, and when we are talking, we want to capture our audience with smooth looking lips that have a natural brightness to them. Eyeliner promises beautiful eyes with a technique that has been created to make your eyes appear brighter, while eyelashes look thicker & fuller, adding spark to the color of your eyes. Some women feel like their eyes are dancing. This is ideal for those with smaller eyes or women wanting more definition. No more looking in the mirror for those smudges with your beautiful eyeliner! Eyebrows are important for framing our eyes as well as enhancing facial expressions. Beautiful brows add lift to droopy eyelids. This is ideal for people who continually need to use a brow pencil for patchy or non existent eyebrows. It is fantastic for alopecia or chemotherapy patients. Many clients seek this procedure from loss of brows due to medication, illnesses and stress. Permanent brows add ease to your daily living and help you feel confident that your brows are even & in place. Lips can be given the appearance of more fullness & definition. This lip treatment can be done to make your lips look fuller and add youth to those that have lost their natural lip line. 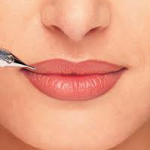 By adding a fresh lipline this helps to correct uneven lips, while enhancing the shape. Full lip treatments are known to eliminate the concerns of lipstick bleeding or lost color do to the aging process. Alisa’s pricing structure is done to accommodate each individuals own personal needs. Colors and procedures are determined by both Alisa and her client, working together to come up with the best approach for a beautiful enhancement with a more lasting affect than one can achieve with a conventional makeup applications. Alisa and her clients also know that the skin is a live canvas and our skin goes through both environmental, and physical changes. Touchups may be needed to reach the clients ultimate desire, and maintain a lasting appearance throughout the years. Top only $300 Bottom only $300 Top & bottom $475 Traditional eyeliner is more classic looking with a crisp, clean line. Dreamy affects normally have a bit of a smudge, or a soft haze. Eyebrows ~ Natural Brow enhancement ~ $185 Ideal for individuals with fuller brows that are starting to show signs of thinning and they want to fill in sparse areas with some natural looking hair strokes. Add a Tail ~ $250-350 Recreate a missing tail starting from the arch to the outside corner of the eye. Giving a nice frame to the eye itself. Full BrowTreatment ~ $475-575 This consists of building a complete brow from start to finish. Beginning at the bridge of the nose, creating a lift at the arch, and finishing with a beautiful tail. This procedure is done with a more realistic looking hair stroke technique, and strategically placing them to work along with your own natural bone structure. Lips ~ Lip Line ~ $350 A Fresh new lip line to bring back those disappearing lips. Lip line with a fill ~ $575 This will give you back that nice, crisp lip line on the outer edges of the lips, while diffusing color towards the inner wet line. Allowing the lips to have more definition with a softer transition. Giving your lips the illusion of looking richer and smoother. Full Lips ~ $700 This is where Alisa will go in and give back that disappearing lip line and cupids bow that give the lips their beautiful character. Once the out line of the lips is completed an Ombre of colors is added to give the lips a fuller appearance with rich, full color all the way through the entire lips. Lip colors go from soft, barely there Baby Kisses to deep Bricks, Spices and Rosy, luscious color tones. $55.00 consultation fee is non-refundable. This fee may be applied towards the total cost of a procedure. Women enjoy the lasting beauty and wonderful convenience of Micro Blading/Permanent Makeup! This has been a great opportunity for Alisa to help people who have had corrective surgery due to accidents, illness or health conditions. Who are searching for those final touches to give them back their confidence from going through a traumatic experience. The art of applying makeup under the skin and creating something that looks natural, if done properly, can give an overall fresher appearance. Procedures and visits may vary. Most procedures take one to two hours. Your preferred technique and results will be determined during your consultation with Alisa. These artisan techniques are also known as permanent cosmetics, micropigmentation, and cosmetic tattooing. Which means the process of placing pigment just beneath the epidermis of the skin. 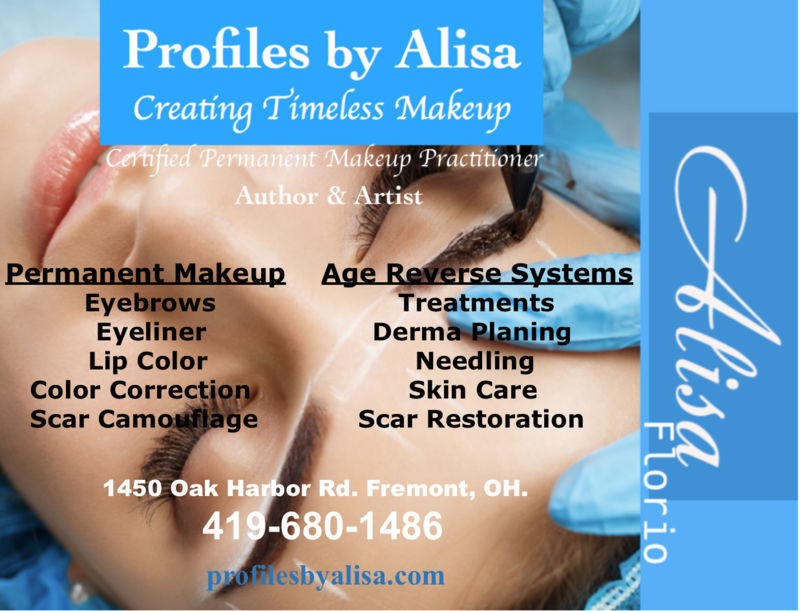 Alisa has implemented this art form for thousands of clients, traveling all around the country in both the medical and artistic fields for over 25 years. As a seasoned technician, Alisa uses advanced digital technology, and natural pigments with an extensive safety record. She applies a topical anesthetic, while utilizing the highest sanitation, and sterilization standards available. She educates her clients that the effects of aging, surgeries, and sun exposure may alter the pigment’s appearance over time. 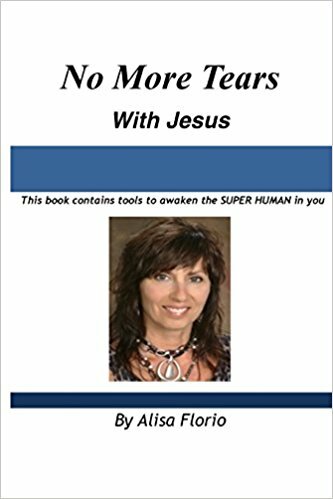 Through her years of experience, she has come to realize no mater which technique is used to apply makeup under the skin, in some people it is permanent while others it is not. Skin is a natural canvas and no one is capable of determining exact outcomes or longevity, this is why it is referred to as an ART. Different skin types, and skin conditions as well as your maintenance program also determine the ultimate longevity of your procedure. Refresher appointments vary according to her clients needs and concerns. Some prefer to return every few years to maintain a fresher appearance, while others come 3-5 years to accommodate life changes.